Round diamonds are by far the most popular cut, accounting for over 75% of all diamonds sold in the world. But have you ever wondered why? 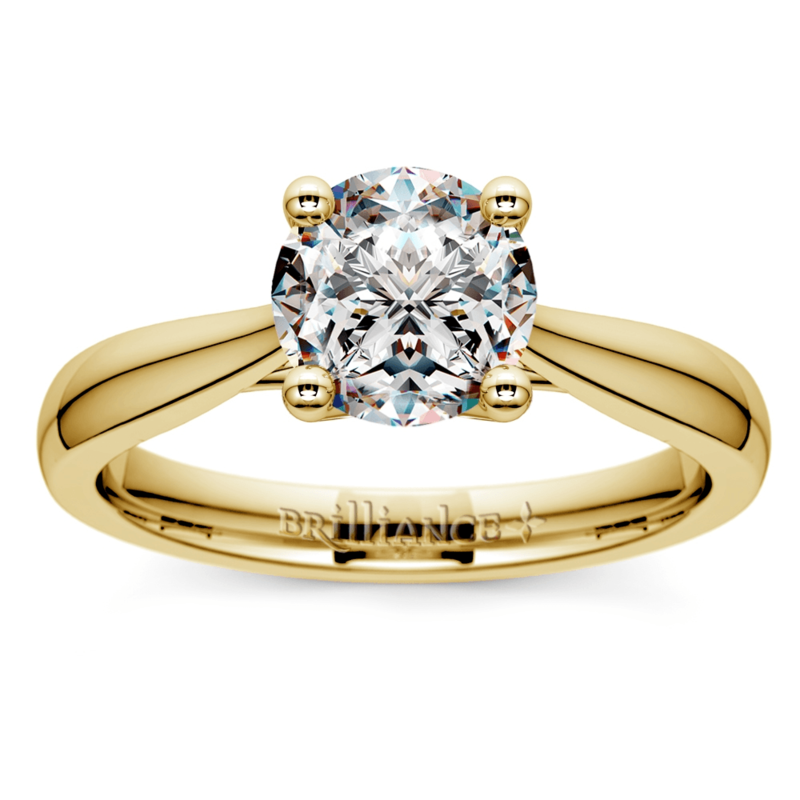 Women around the world dream of owning round cut diamond rings because of this shape’s brilliance. In 1919, Marcel Tolkowsy, a famed diamond cutter, published the exact mathematical computation of angles needed to create the most brilliant diamond ever cut, and the round brilliant cut diamond was born. Today, the round cut diamond remains the most brilliant stone, which explains why it is so sought after. Round cut diamonds are simple and elegant, so they complement almost every type of setting. Because round diamonds are so brilliant, you can easily get away with wearing it as a solitaire, but if you want to add extra sparkle, go for something like a halo setting. Although round diamonds are technically fairly modern, you can create a vintage look by placing the diamond in an antique setting with intricate detailing on the band. 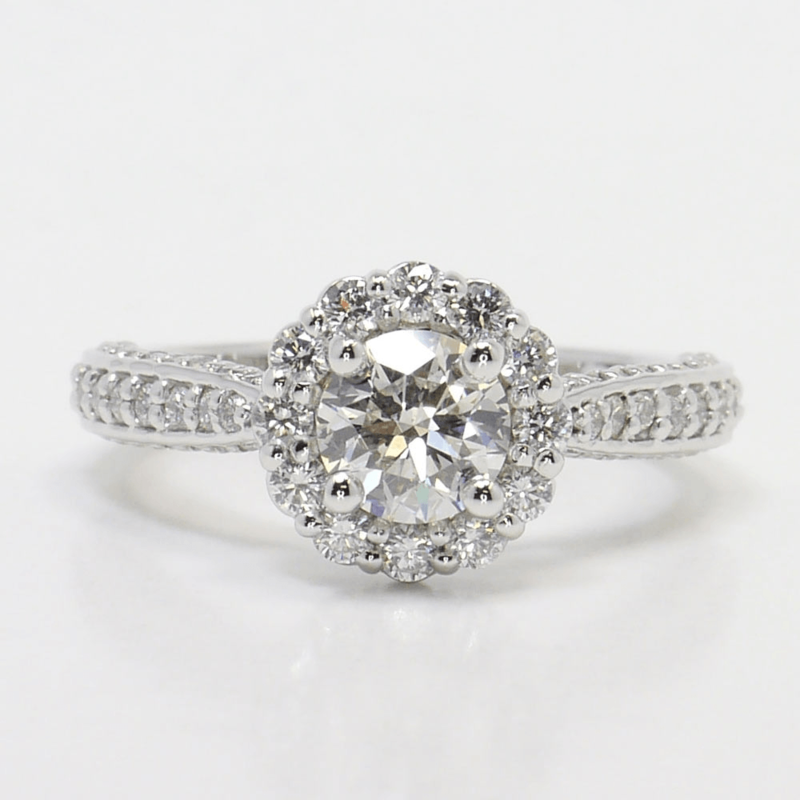 The bottom line here is you never have to sacrifice the setting of your dreams to make it work with a round diamond since the shape is so thoroughly versatile. When you choose a setting for your diamond, you will usually have to pick between a four or six-prong setting. What should you choose for a round diamond? It depends. Six-prong settings boast a small advantage of increased security, so if you have a fairly active lifestyle, this may be best for you, but the additional metal of the prongs can also cover the diamond more and hide it from view. Traditional four-prong settings tend to make round diamonds look more square, since the prongs are located at the 2, 4, 8 and 10 o’clock positions. Unfortunately, round cut diamonds are the most expensive diamond shape because so much of the rough diamond is lost during the cutting process. In fact, a round cut diamond can often cost up to 30% more than another shape of the same size, color and clarity. Because of this, you may want to find ways to cut back on costs while still getting the diamond you desire. 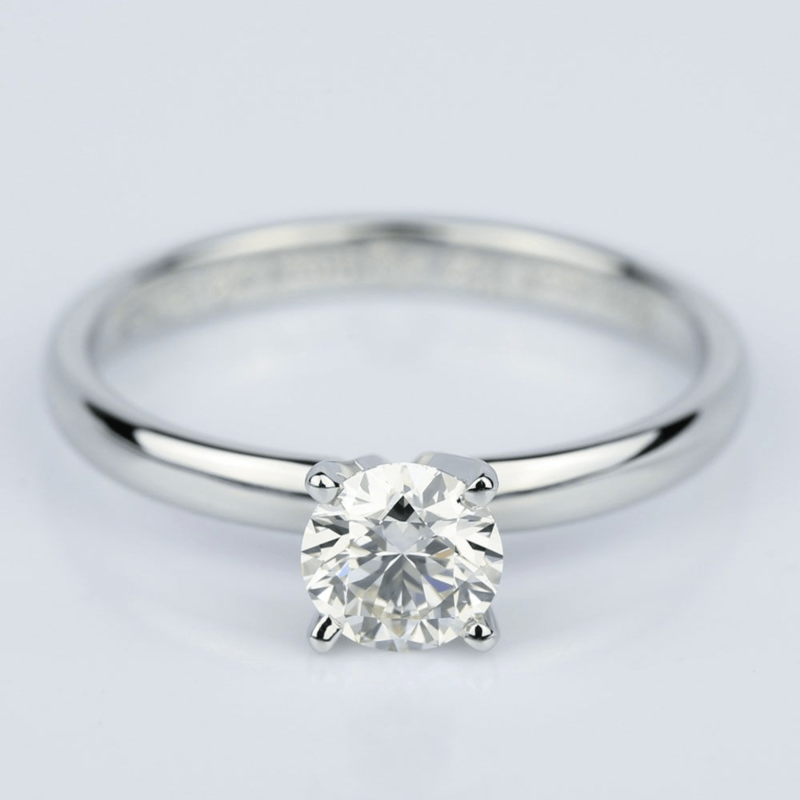 Try going lower on the color scale to an I or J, or if you are putting the diamond in a yellow gold setting, you could even go lower to K or L. The color is not as important for round cut diamonds because round diamonds dispel color, so this is a great way to save a little bit of money that can be used toward getting a high clarity or larger carat weight stone. Because the cut of a round diamond has become so standardized, many customers overlook the specific cut of a round diamond. 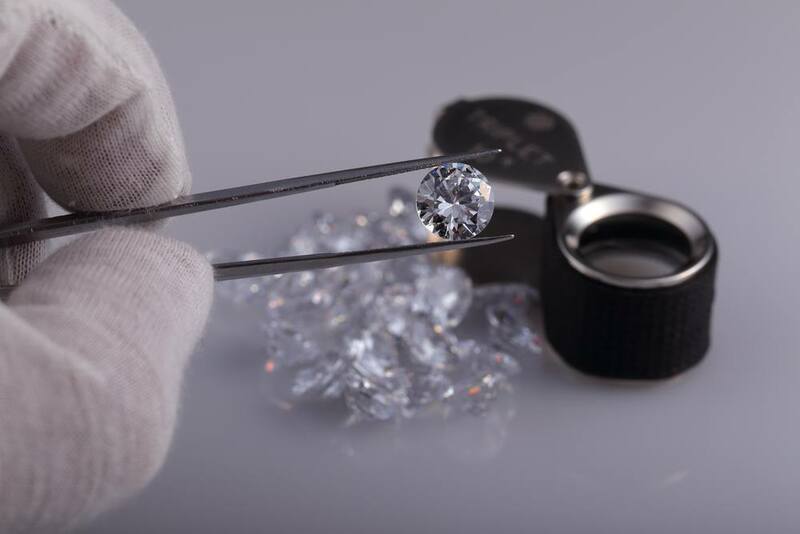 However, the specific cut grade of a stone is still one of the most important factors as it affects how much the diamond will sparkle. The ideal round cut diamond has a length to width ratio of 1:1.01, so the further you deviate from this ideal shape, the less brilliant it will appear and the lower the overall cut grade will be for the stone. Keep these tips handy if you plan on shopping for round cut diamond rings so you can choose the perfect diamond for your lifestyle—and your budget!